You’re standing outside your house and you see “Spring” happening all around you. The grass is green and lush. Trees are budding and their leaves are growing. There are flowers blooming everywhere you look. If these pictures don’t get you in the mood to “spruce up” your home, I don’t know what will. In a previous post, we discussed some things you can do around the house as early Spring “Spruce Ups”. So let’s look at some more “spruce up” activities that can make the exterior of your home fit into its fresh new environment. a. You would be surprised how much trash and how many leaves accumulate in the flower bed and in the out of the way places around the house. b. Cleaning out these areas will be like emptying the bag of your vacuum. You will find things that you thought were long lost and also your house will feel neater after getting this cleaning. 2. Edge lawn around sidewalks, driveways and flower beds, etc. a. This could be the most overlooked way to upgrade the exterior of your home. Creating sharp, deep and clean edges along these areas is like putting a beautiful frame around a painting. It enhances the look and the presentation of the home far beyond the cost of the time it takes to do it. a. 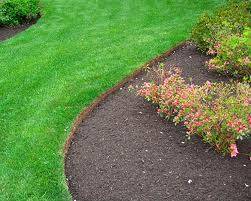 Neatly trimmed and maintained bushes and trees give the impression of care and attention to detail. 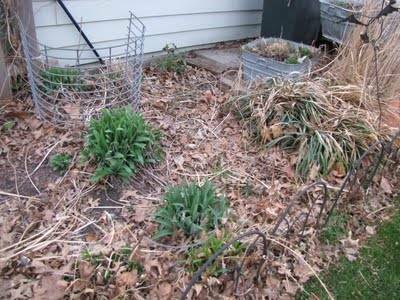 Wild and unruly Shrubbery NO NOgrowth around the house brings down the entire presentation of the property. a.Mulch Adds Classa. Adding mulch to the planting beds is like putting on a suit jacket. It’s not much, but it dresses up even the most neglected landscape. b. Toys, bikes, balls, skateboards and the like need to find homes. 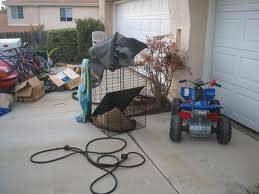 Placing these items in a shed or garage will help keep them out of sight of drive-by on-lookers as well as your guests. This gives the impression of organization and an organized shed or garage is a happy space. b. 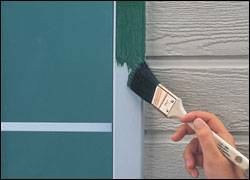 If you keep up with the painting of the exposed wooden trim around your home, it won’t take much preparation to apply the new coat of paint. If you get behind, it might take a bit longer to do the proper preparation to do a good paint job. c. Most newer houses these days have very little exposed wood to take care of. Places to look for on any home, old or new, would be window and door trim, siding corner boards, stair treads and risers, columns and railings, and porch floors. Don’t get discouraged before you start. Make a list, prioritize it, and then take one thing at a time. As you complete each item, do yourself a favor, stand back, give yourself a pat-on-the-back and then move on to the next item. After a few weeks, and as you come to the end of the list, try to remember what your home looked like before you started. There is nothing more satisfying than the experience of a job well done. 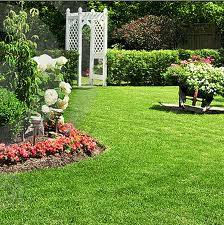 Just be careful, your neighbors, friends and family members will also notice your hard work and the new look of your property and you may become the go to outdoor handyman.